There seems to be a common misconception that having an estate plan is for wealthy people. Wrong. Having an estate plan is for everyone. It is about being prepared, minimising risk and making sure your loved ones receive the benefit of your estate. 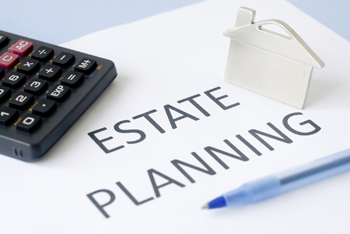 Today, there are many factors which influence an estate plan. Simply having a will may not be enough for your estate to pass to your loved ones. Often, the starting point is to determine what estate assets and non-estate assets you own. It is common for mum and dad to think they own a particular asset, only to learn that their family trust in fact owns the asset. What is an estate asset? An estate asset is an asset held in your own personal name. Examples of estate assets include real property held in your personal name or an interest as tenants in common, bank accounts, vehicles and shares. Estate assets are dealt with in accordance with your Will. What is a non-estate asset? When dealing with a non-estate asset, your estate plan can often be tailored so that the control of any non-estate assets is passing to your loved ones. What happens to property owned as joint tenants? The right of survivorship applies to property held among individuals as joint tenants. This means that upon the death of one of the owners, full ownership of the property will automatically revert to the surviving owner. The property will not form part of the deceased owner’s estate. In your estate plan, if you do not wish for the right of survivorship to apply, steps can be taken to sever a joint tenancy, so that the property is held as tenants in common. This will ensure that your interest in the property flows to your estate. What happens to your superannuation? Superannuation is separate to your estate, therefore, it is not automatically distributed in accordance with your will. Without an estate plan, the trustee of your superannuation fund will decide which dependents to pay your superannuation to. However, with a plan, you can control which dependents your superannuation is paid to, via a binding death benefit nomination. There are strict compliance issues which impact whether a binding death benefit nomination is valid. What happens to assets held by a discretionary family trust? What happens to life insurance? If you have taken out a life insurance policy to ensure that your loved ones continue to enjoy their lifestyle in the event of your passing, it is important to consider how this policy has been established. If a beneficiary has been nominated on the policy, the life insurer must pay the beneficiary directly, which means that the proceeds will not form part of the insured’s estate. An effective estate plan means considering and appreciating all aspects of a person’s life. If you have any questions please do not hesitate to contact me.